The domain is a stone’s throw from Thonon-les-Bains, south of Lac Léman near the Swiss border. The vines are situated in three appellations: Crépy, Marignan and Marin. 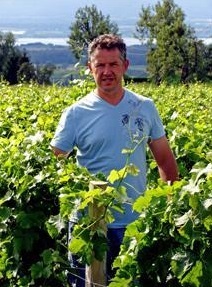 Dominique Lucas made the decision to downgrade to the ‘IGP’ (Indication géographique protégée) ‘Vin des Allobroges’, a move that has allowed him more freedom as a winemaker. He makes wine out of predominantly Chasselas, a local Swiss grape variety, but has Chardonnay, Savagnin, Chenin and Pinot Gris vines to make his blends. His domain places emphasis on grape quality, soil quality and the local environment. Not content with the Ecocert certification, Lucas employs biodynamic methods in his vineyard. 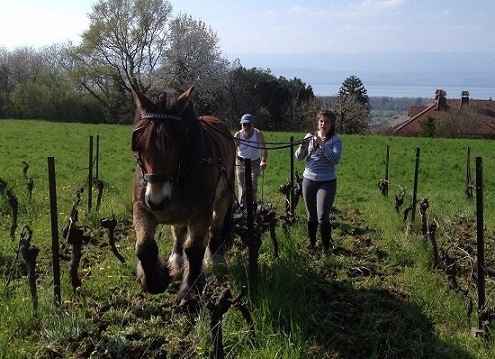 The soil is tilled by horses to avoid compaction and his vines are worked exclusively by hand. 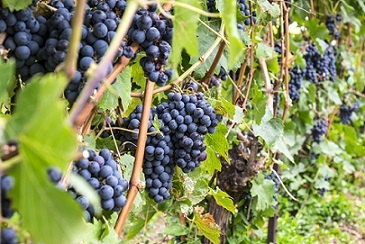 Multiple harvests are carried out to ensure that all grapes reach optimum ripeness. 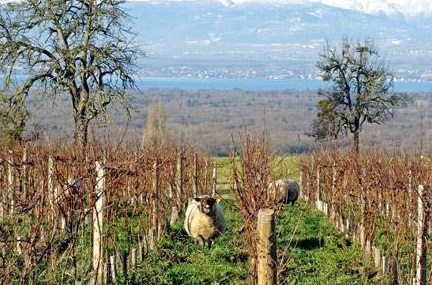 Animals are also at the heart of his approach and sheep graze amongst the vines. He is guided by the lunar calendar throughout the whole process. How long have your family been cultivating vines? I’m the 5th generation of winemakers in the family and we come from Burgundy. I worked for two big domains in Burgundy, in possibly two of the most beautiful and sought-after appellations in the world and yet, I noticed that the soil was badly mistreated. I decided to leave the region in 2002 and work elsewhere. 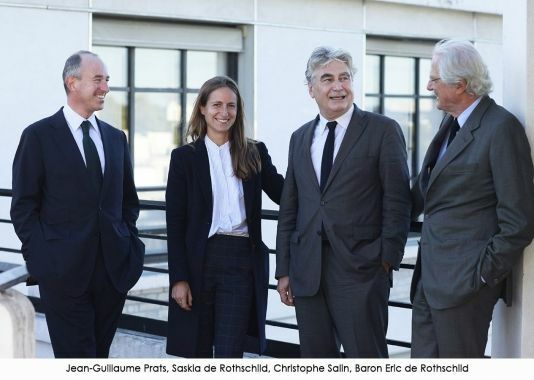 At first I worked for a domain in Savoie but the material and human resources available there were poor. In 2008 I met the owner of Des Vignes de Paradis and bought his vines off him. Later on I acquired some more hectares and then I made the decision to stop making appellation wine so as to have the freedom to do as I choose. I wanted to plant grape varieties that were forbidden under appellation regulations, as the AOC Crécy only allows for the local Chasselas variety to be used in winemaking. How did you become interested in biodynamics? It was at the second big domain that I worked at in Burgundy that I really deepened my knowledge as a winemaker an earned my stripes. I avidly studied the works of Masson and Bourguignon. Biodynamics appealed to me more than the organic approach. I was lucky enough to be working near Domaine Leroy which is without doubt the authority on biodynamics viticulture. I began to perfect my own approach with my Chasselas vines and now my whole domain is given over to biodynamics. The guiding principle behind biodynamics is to achieve the same level of life in the vineyard as you might find in a forest. A forest is an example of an ecosystem where biodiversity prevails and that’s exactly what I want in my vineyard: the soil needs to be as alive as possible. Do you make your own vats? I was aware that I couldn’t easily control what was going on in the vats so I decided that I wanted to build some of my own that incorporated some of our terroir. The result was the Kéops pyramid. I made it out of local limestone rich gravel and silica rich Chamonix sand. We used water from the source of Thonon-les-Bains to make the concrete. We also made some amphorae out of terracotta. In 2010 I lost both of my parents and so I had to take over their 2.5 hectares in Pommard. 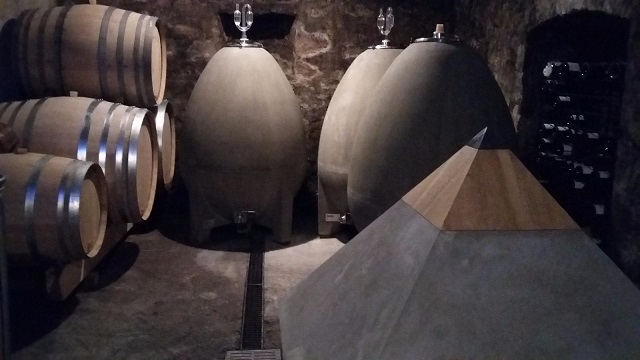 For financial reasons I had to sell their estate but I collected limestone from the site and incorporated it into the amphorae I built to vinify my wines in Savoie. Amphorae are very difficult to make: you need to bake them at 1,200 degrees while the Kéops pyramids can be replicated rather easily because it’s made out of a mould. Why do you use local materials to make your vats? 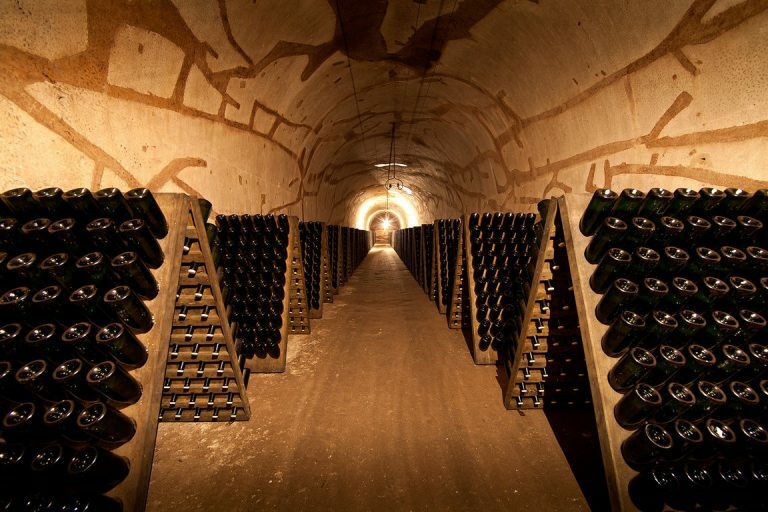 When wine is vinified in a material containing some if its terroir, a natural exchange takes place since this material is porous. This way, the wine is more connected to the vineyard even when in the winery. We also use magnetics to help us keep everything harmoniuous. What sort of biodynamic concoctions do you prepare? I try to not use sulphur and copper. I know that the ‘bouillie bordelaise’ (Bordeaux mixture) allows for petrochemical products but I prefer to work with what nature provides. For example, I work a lot with minerals and make herbal mixtures to invigorate the vines. Do you use horse labour? I use horses on the old and more rugged vines. I’m the first in the area to do it. There’s really something to be said for using animals, it prevents soil compaction. This method was used by my ancestors but it’s not particularly cost effective. Do you grow other plants in your vineyard in between the vines? I’m not convinced by this method. I don’t like demanding too much of my soil. I already have plants in my soils that I consider ‘bioindicators’. This might be a difficult question for you to answer, but do you have a favourite grape variety? Being a Burgundian, most people assume that I would choose Chardonnay or Pinot Noir but I have to say that Chasselas has a special place in my heart. 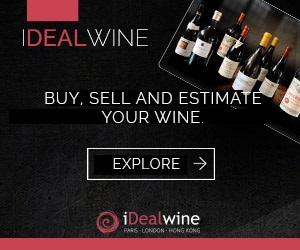 We have a selection of different wines from Dominque Lucas available to buy here at iDealwine, including his biodynamic Vignes de Paradis cuvées which can be cellared for up to 8 years as well as his Vins de Léman, that are produced organically. These can be cellared for up to 5 years. The Vignes de Paradis wines are produced from vines situated in Crépy, at about 450 metres altitude where the soil is rich in yellow clay. The cuvée C de Marin comes from soils rich in granite. 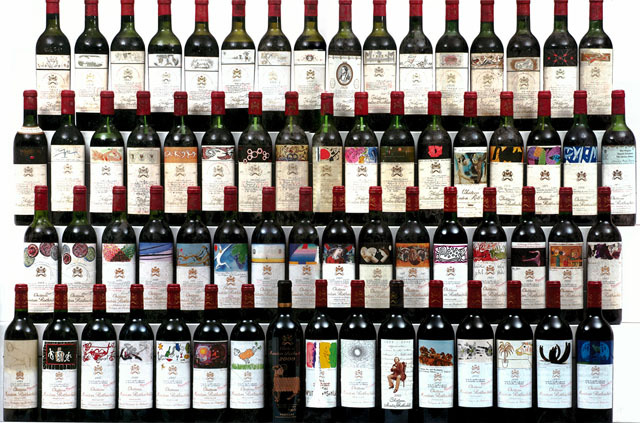 How much is a vertical of Mouton Rothschild worth?